If you’re looking to hear some live Beefheart music then here’s your chance. 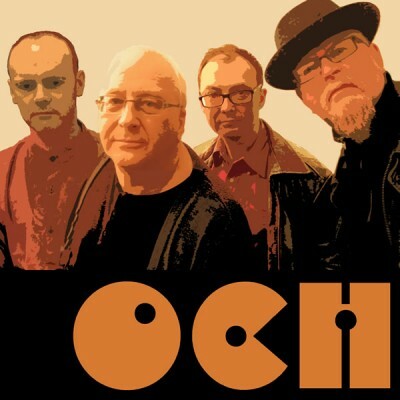 The excellent Orange Claw Hammer are playing a couple of gigs in Scotland … which might go some small way to consoling those Scottish fans who didn’t get any shows on last year’s Magic Band tour. 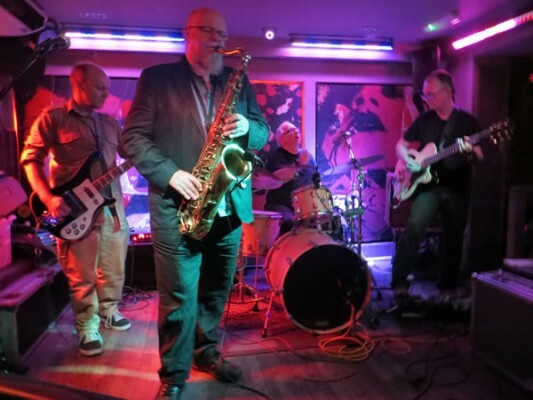 Orange Claw Hammer are superb musicians who play jazz-tinged arrangements of many Beefheart favourites. Mainly instrumental but there are some occasional vocals. To get a flavour of their sound check out the band’s website – http://stevekettley.com/music/orange-claw-hammer/ – to hear their versions of “When It Blows Its Stacks”, “Ant Man Bee” and “Woe Is Uh Me Bop”. Steve Kettley: I reckon I first heard it, like so many people, on John Peel’s radio show. My first recollection of listening was with several school friends in my parents’ living room, clustered round my mono Bush record player, marvelling at Trout Mask Replica. It was so different to anything else we’d heard – we simultaneously loved the power of it, and laughed at its craziness and absurdity. Even now I tend to go for unusual combinations of instruments if possible in some of my own groups, as well as in the stuff I listen to, which I can trace back to Beefheart. If there’s a tuba, violin or marimba involved, I’m on it! RS: What is your musical background? 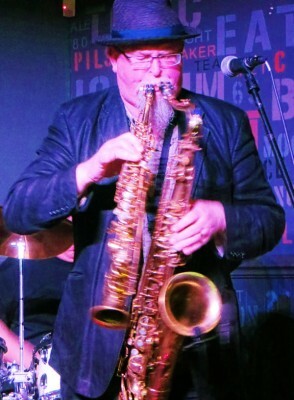 SK: I took up the saxophone after listening to Elton Dean playing on Soft Machine’s “Third” album. So a prog rock kid really. I still listen to SM, Hatfield & the North, Matching Mole, Gong etc from that era. RS: What led you to start OCH? SK: When Don’s death was announced, I decided I had to do something – just as much for me as for the great man. Luckily I had a suitable band, at that time called Ego Ergo Aggro, and also a regular monthly club. The club, called “Click Clack” (even before Don passed! ), is still running. EEA (at that time with original bassist Dave Conway) rehearsed 5 Beefheart tunes as instrumentals, and got a guest vocalist to join us on “Willie the Pimp” at the end. The band and audience had such a great time that we have kept it going sporadically ever since. Dave Beards replaced Dave Conway on bass a couple of years ago. RS: Are there particular problems with learning Beefheart songs? SK: They’re bloody hard! I have arranged most of our repertoire of (currently) 16 of his songs. Our approach is to keep the core of the songs intact, but leave room for interpretation and improvisation. Originally it was all instrumental, but recently I have been attempting more vocals. So I have to try and ignore the Captain’s vocal (sacrilege!) while working out the individual instrumental lines. How these young guys ever got this music together all those years ago I’ll never know! Our line-up of sax and guitar rather than two guitars presents some problems, but also ensures that our sound is our own. My intention has never been to create carbon copies of the originals. So I suppose we are not a “tribute band” in the accepted sense. As the comedian Mark Thomas said in his appreciation of OCH, more a “homage”. RS: Do you have favourites to listen to and play? SK: I’m afraid my favourite is very predictable – “Big Eyed Beans from Venus”. OCH don’t play it, I’m nervous of trying it! I have several favourites from our Beefheart repertoire – “When It Blows Its Stacks”, “I Love You, You Big Dummy” being but two.